North Carolina Championship Tournament, September 22, 2018. 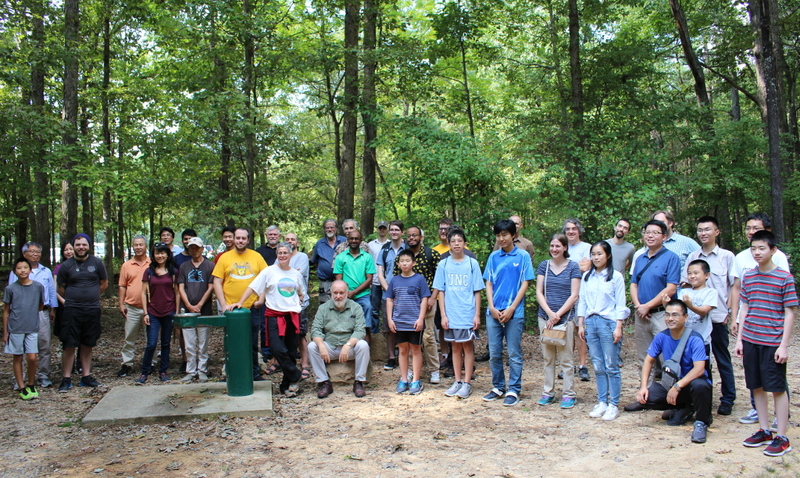 The first North Carolina State Champion Tournament was held at Umstead State Park in Raleigh, NC on September 22, 2018. Forty two players turned out and Ying Shen 2P offered game reviews onsite. Chen An 7d earned the first North Carolina State Champion with a perfect 4-0 score and Chengyu Fu 7d and Brian Wu 3d share second place in Open section. Tao Ma 2k swept all four games to take first place in Division A (2d-2k) and 8-year old Sheng Hou 1d and Peter St. John 1k took second. Bob Bacon 6k managed to not only serve as one of the tournament organizers but also won first place with a perfect score in Division B (3-6k) while Harrison Pedigo 4k, LeRoy Anderson 5k, and Justin Blank 3k shared second place. First-time tournament player Ki Y. Kim 8k collected the top award in Division C (7-11k) and Tom Roncoli 7k and Andrew Thieman 7k shared second place. Justin Su 15k was first in Division D (12k & up) and Janus Childester was second. The following tables reflect the 4 rounds of play. The first table is a record of entries with Win/Loss records. The next 4 tables display the results from each round. This data is based on the TD file submitted to the AGA, cross checked with the wall boards from the tournament. Komi is shown as a whole number. A Komi of 7 represents a Komi of 7.5, and a komi of 0 means an actual komi of 0.5. In the Rounds tables, the winner of each pairing is in bold type.